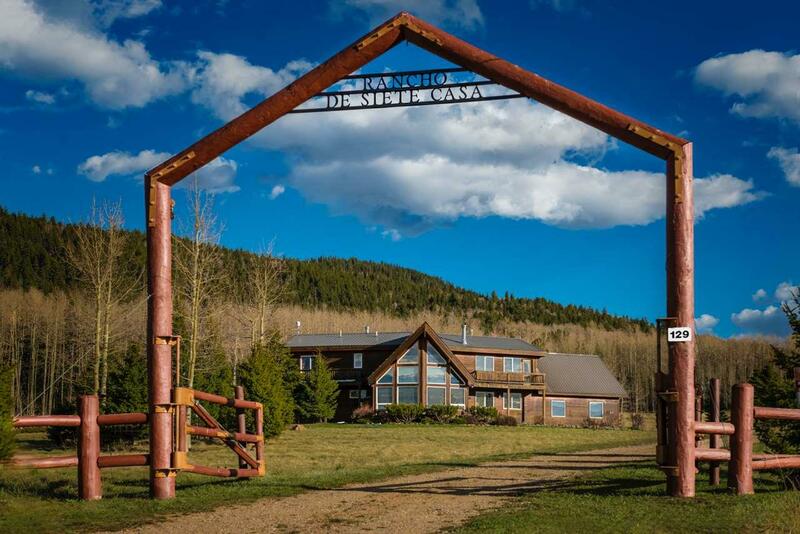 Black Lake estate on 34.58 acres of meadows, aspen groves, with a spring-fed pond. Two miles of walking trails wind through the aspens up the gentle slope of the mountain to a logging trail. Wide Wheeler Range views from the front of the house. Stately ranch portal frames the entry to the 2506 sqft Shuter-built home. On scenic Pine Rd which continues straight at the point that B-38, Aspen Hill Rd,turns downhill. 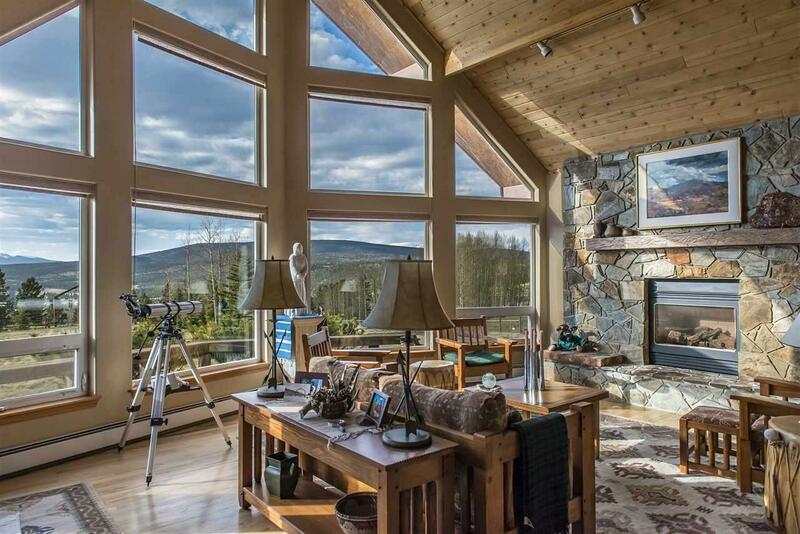 Warm and welcoming, this property has been in the same family for years. Some of the most beautiful land in the area, with mountain views following Aspen Hill/Pine Rd all the way down the road, which ends at the entry to the Sandia Pueblo Hunting Grounds. 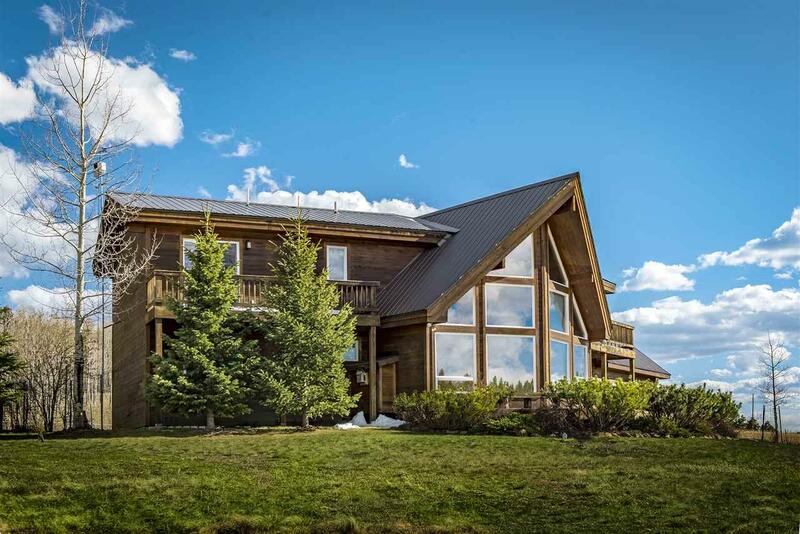 Herds of elk and wildlife move through on a regular basis, making this property perfect for the outdoorsman seeking refuge from the stress of urban areas. 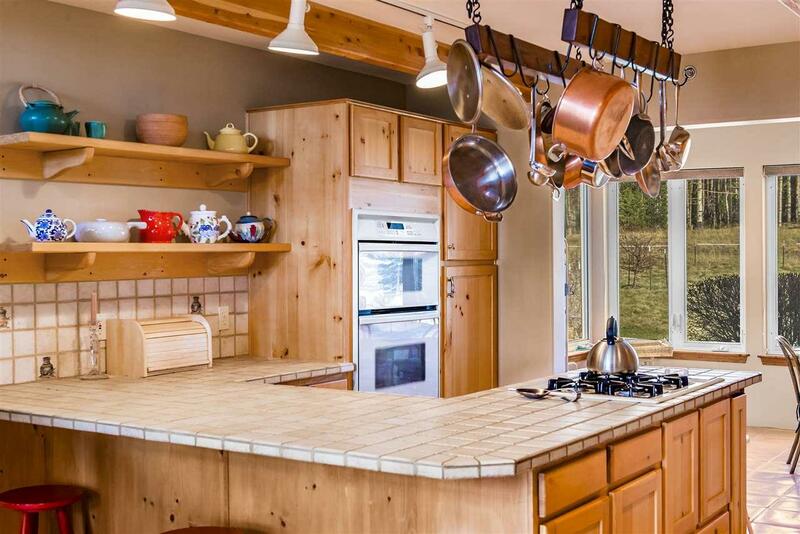 You will not be isolated, however, as it is only about a 20 minute scenic drive to the public Angel Fire Resort and its many amenities, including a ski mountain, nationally rated mountain bike park, PGA-rated golf course, $18 mil country club, tennis courts and trout-stocked Monte Verde Lake. Add on another half hour to Red River. Angel Fire Airport has jet-capable runway for private aircraft. In an area rich in the history of the Old West.